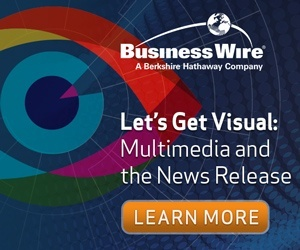 The following is Part II of Business Wire's article providing a closer look at influencer marketing and how it can help you amplify your message. This section covers working with influencers, measuring your success, and maintaining the best communications for your brand. Access Part I to learn about why influencer marketing is important and how to identify the appropriate influencers for your message. Working with influencers: Now what? Once you have identified your influencers and established communications, it is time to determine if you want to work together. First, you must build out your own program. What is your goal, what do you want influencers to do, how long do you want this program to last, what are the results you expect? Determine how you plan on compensating your influencers – can you afford to pay them? Do you have product that may be of interest, or can you provide significant visibility to their work. Once you know your goal and the influencers you need to achieve it, it is time to start the outreach. Read the influencers’ websites in advance to see if they provide an overview of their influencer programming. This will tell you if they want to be paid, the type of reach they have and more. You may want to ask for a screen shot of their analytics to confirm their reach and activity claims. Next, craft and send a short outreach note asking if they are interested in new partners and what their programs consist of, their reach and average results and how they prefer to be compensated. Do not expect influencers to write for free. Once the influencer has agreed to be a part of your influencer program, it is time to write and sign a contract. Do not forget this step! Contracts are very important because they outline the goal of the program, the length, the content expectations, content points that must be included in the output, the use of disclosure language such as #spon or #ad, distribution platforms, launch and completion dates, how the program will be measured and, of course, payment terms. How long do you want the content to live? Who has the rights to pull it down? You will want to make sure that your contract includes explicit language in case your influencer does not fulfill their side of the bargain, goes rogue or partners with a competitor while working with you. The last thing you must do when launching an influencer program is to design your content amplification support system. When you have outside parties creating content on your behalf, you must take your own steps to amplify this content even further. Create blog posts that point to the content, consider amplification via newswire services, use social channels to increase views and of course, don’t forget about contextual ad networks that can place your influencer content in ad blocks around the web. Influencer content is exactly the kind of information an organization should promote. Don’t forget this final step! Were FTC #spon/#ad disclosure guidelines met? How high was the quality of content the influencer created? What was the amount and quality of brand mentions/discussions? What was the amount and quality of inbound traffic? What was the amount and quality of leads? What was the amount and quality of conversions? How did this content make the audience feel about your content? You may need to use technology to track these metrics. Work with your analytics team to create conversion pixels, UTM codes and more tracking links to ensure you capture as much data as possible within your programs. But don’t just measure the success of your program. Monitor your influencer partners as well. Has their brand voice changed recently? Are they working with competitors? Are they using their platforms in an unexpected manner? Even if you use influencers for a short-term program, you are co-opting their brand. You must monitor all outputs to ensure they stay consistent to ensure the strongest connection possible between the influencer, their audience and your organization. As we noted earlier, paying for influencer marketing programming can be done with money, goods, visibility and access. To ensure there is no confusion, always use a contract to ensure both parties are held to the same clear standards. There are many ways to compensate a blogger or influencer – and the choice you make will depend heavily on both your goals and the influencers you choose to work with. Let’s face it. Even the best planned programming can go rogue. So what do you do when your influencer acts out in a manner that you didn’t expect? Can you do anything? The answer is yes. Refer to your contract! If your partner isn’t meeting their end of the bargain, make sure you cover this in your contract. You want to spell out penalties for both parties when the contract isn’t met, including withholding of final payment or the deletion of created content. This is especially key in created content and in the use of FTC disclosures. And if the influencer goes rogue and you determine that the content is no longer aligned with your brand, ask them to pull it down. Sometimes it is better to walk away vs. allowing your brand to be dragged down by a 3rd party. Influencer marketing is a great way to increase the alignment between your brand and your targeted audiences, but it can come with pitfalls. Take a smart, organized approach to identifying, outreaching and aligning with relevant audiences to reduce potential issues and increase the opportunities of achieving your goal. Want to learn more ways to increase the visibility of your organization’s content? These articles are great! Or email us with questions!